I’m so happy that I found Midland Eye Associates. Home » Testimonials » I’m so happy that I found Midland Eye Associates. 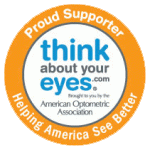 I’m new to the area and I was worried about finding and eye doctor/office that I would be comfortable with. I was with my last Eye Doctor for over 29 years. I’m so happy that I found Midland Eye Associates. Everyone was so welcoming and the office is warm and comfortable. It felt as if I had been going there for years. Dr. Erickson was amazing and very thorough. Great place and I highly recommend.